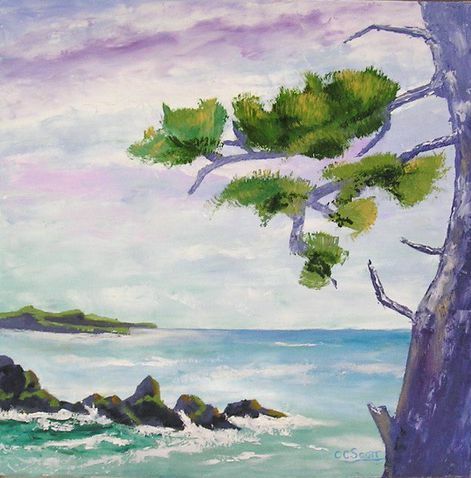 Cynthia Crocker Scott is a fifth generation Californian so it is not surprising that the colors of the western skies, the ocean, rocky shores, and desert landforms influence how she sees the world and fill her paintings. 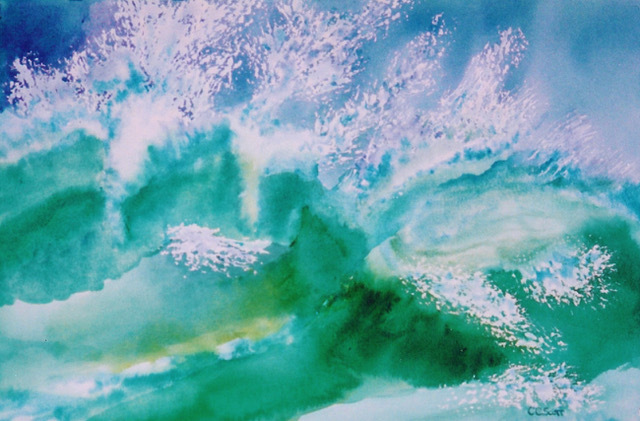 Color, whether brilliant or subtle, is the element that drives her to create.  Her paintings in both oil and water media are usually representational, but often explore the boundaries of abstraction. 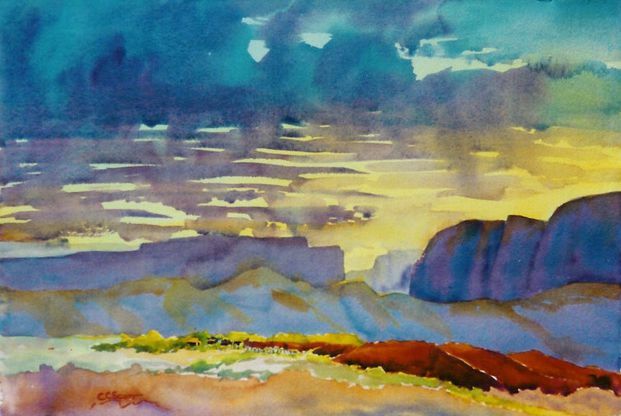 Many of her paintings are called 'skyscapes' since the color and light relationships of the sky with sea and landforms are the real subjects, and there is always something new to explore. Her love of color and light developed into a life direction while working in stained glass in design classes in college. She continued her art education informally studying scientific illustration during her two museum careers, first in education at Los Angeles County Natural History Museum, and later directing the California Association of Museums. After moving to Kansas City, Missouri in 1993 she applied her creative skills to exhibit concept design for the new Science City at Union Station Museum. 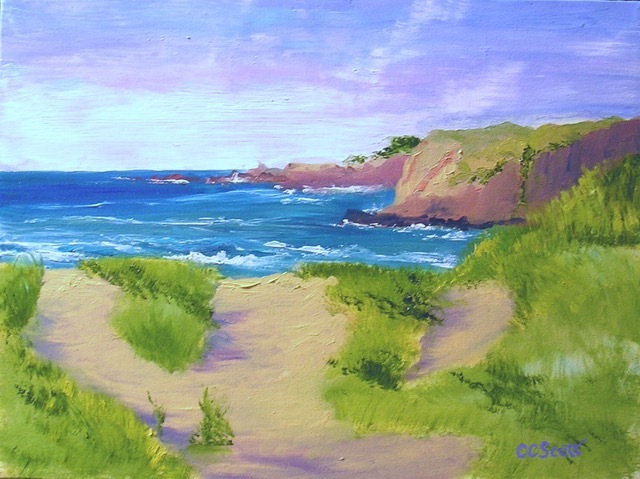 She returned to California in 2002 and now paints en plein air and from her studio on the small farm in Mendocino where she lives with her husband, Bill. She began studying painting seriously in 1996 with internationally known artists, both in the U.S. and abroad. Her paintings have been included and received awards in national and regional exhibitions juried by nationally acclaimed artists. 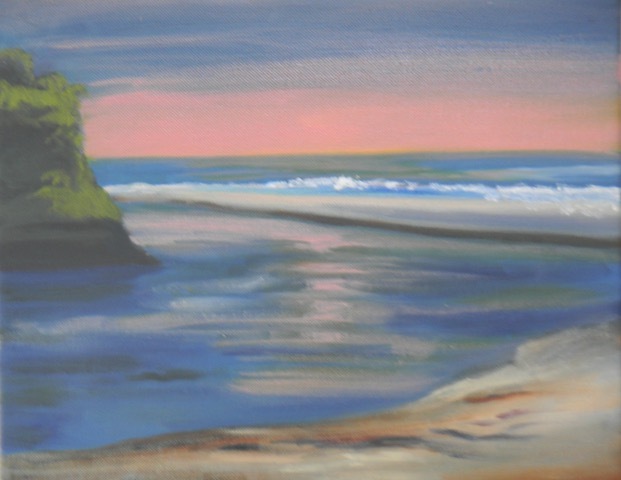 She was an active member of the Plein Air Painters of Mendocino and of the Mendocino Art Center for many years. 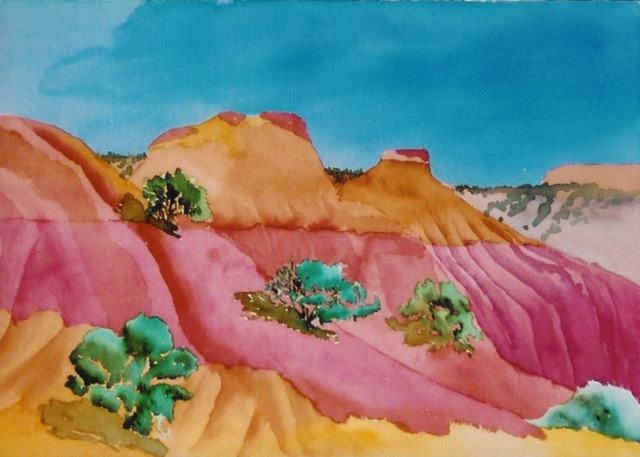 She is an award-winning member of the Missouri Watercolor Society and is a founding member of the Mendocino Eco Artists. Her works are in many private collections and have been shown in numerous public exhibitions.